Vaporesso Armour Pro Kit with Cascade Baby Tank, which adopts advanced omni board 4.0 integrates flash heat to deliver pure flavor, can fire within 0.002s. 2A quick charging with passthrough cahrging protection ensures your safety and 0.96-inch color screen to diaplay status of vape clearly. 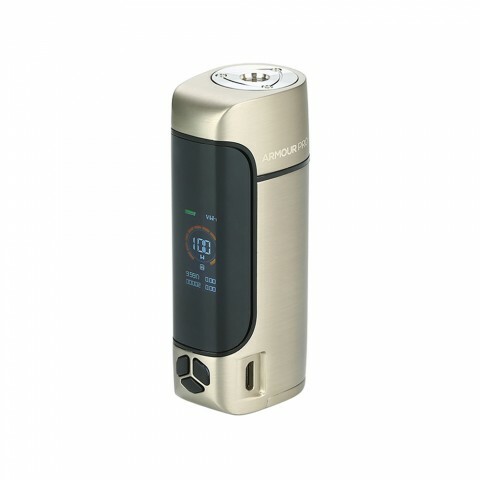 Vaporesso Armour Pro Kit with Cascade Baby Tank, which adopts advanced omni board 4.0 integrates flash heat to deliver pure flavor, can fire within 0.002s. 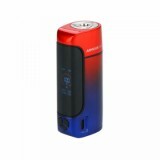 2A quick charging with passthrough charging protection ensures your safety and 0.96-inch color screen to display status of vape clearly. You will fall in love with this mod. 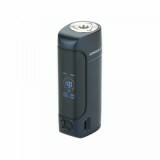 • Three-month warranty for Vaporesso Armour Pro Mod. Im impressed with this little mod. Its small, easy to use, and fits perfectly in the hand. You can use 21700, 20700 or 18650 with the included adapter, wich is a win for me. I tried an RTA with 25mm with no overhang, but I think 25 is the limit. The display is small but easy to read, however I cant see nothing in the daylight outside. The ramp up time is perfect!!! I Only use it in Wattage mode so I dont no if TC is ok. In Wattage mode is perfect. 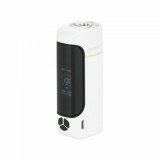 Its a beautiful mod from vaporesso I do recommend it if you need a pocket friendly mod to carry aroud with you. The very most comfortable mod I've tried untill today. Works great. Powerful, comfortable in hand, very, very light, and with a great battery management. Untill today I have been using a DNA mod, and this one hasn't nothing to be jealous of it. The power is delivered instantly when the button gets clicked, the menus are colorful and leguble, with all the different options within shown directly, with a grat and fast access to them. I love the fact that the power button is built into the screen, it's so original and it makes the mod appeareance in the front very attractive. In addition, it admits from 18650 to 21700 with no problems, and comes with a 18650 adaptor and the best USB cable I've seen in the market (great quality, external metallic), it could be great if it could have been a type C and not a micro USB one, but whatever, it's something that doesn't matter in front of everything that this device has. Also, BuyBest had delivered it to me in less time that I thought, with a great delivery packaging, and a very kind customer service via mail to solve my doubts. I'm sure that I'll repeat with this site. Mod is very beautiful and comfortable. Especially under mtl. Great mod, small and beautiful. Works great and very easy to set up. Thank you Buybest! Great looking mod. One of the most popular mods these days. I accidentally clicked this item as received. That was a mistake of mine. But yesterday, November 20, this Vaporesso armor pro arrived. In good condition and a beautiful vape. Handy and pleasant to use. Very satisfied with this order and smooth delivery. This is my favorite single battery mod. It has everything you could want in a mod. Menu has a wide array of options to satisfy everyone. The ability to use a 21700 battery make it so it will last all day. No problem updating firmware. The only con I give this mod is Vaporesso supplies zip for info menu settings. Google will solve that problem though. Very sturdy and good looking single battery mod. Vaporesso is making some kickass products these days. Extremely happy. Thanks again Buybest. Bought a white armour pro mod to replace my ego aio. It's stronger and has really fast fire speed. I like the big screen, can display all necessary data clearly. 510 thread also looks nice. It's comfortable to hold in hand and compact to carry around. I have no complaint so far. A pretty compact and well made mod. Fires really fast. Nice and clicky buttons, convenient battery replacement. Hope it will last me longer.